Home » Welcome to Free Stock Music! Welcome to Free Stock Music! We offer a wide variety of 100% free production music in ten genres: cinematic scores, classical, corporate, country, easy listening, electronic, hip-hop, international, pop and rock. 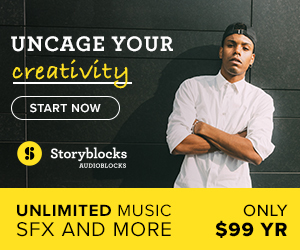 We’re committed to helping you find the perfect song for your video, movie, film, video game, or media project. Our music comes with a royalty-free license allowing you to use the music in all types of productions for worldwide distribution, forever. There are never any fees. If you’re new here, sign up for a free account and join a community of over 25,000 users. Not sure where to go next? Get started here.